Fri March 4th – Keel’s up! Spending ten whole days in Santiago Bay certainly shows our new tendency to slow down; maybe we’re finally learning this “cruise & relax” lesson? 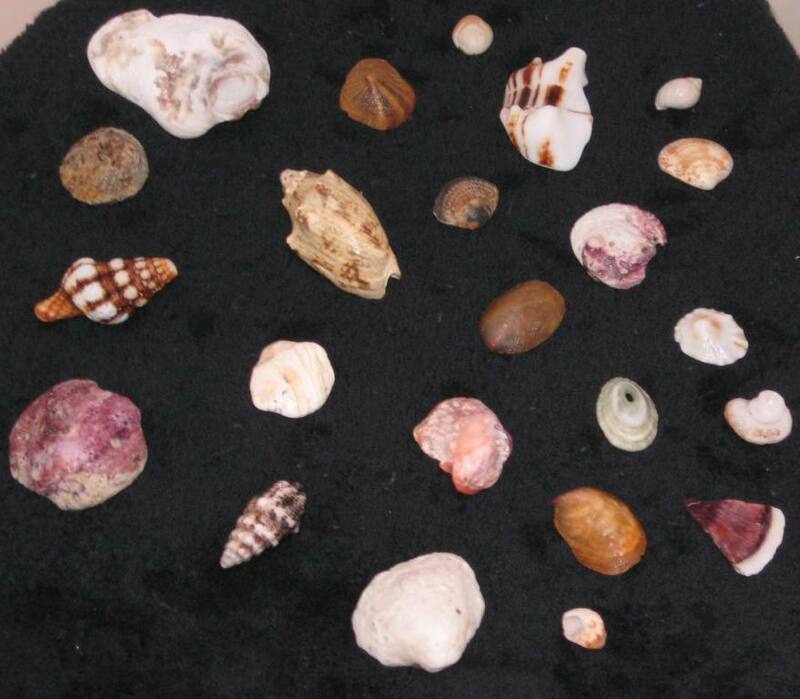 In any case, I’m determined to see Bahia Careyes, about 55 miles further up the coast. We leave at first light, exiting the Bay with a fleet of fishing pangas. Somewhat reminded me of commuter traffic… But I’ll take this sort over the San Francisco Bay Area congestion any day!!! We’re both very happy to be at sea again; I’m looking forward to interesting sightings, Tom is thoroughly enjoying our boat’s performance. And in case you are wondering, no, there’s not enough wind to sail. There’s a number of boats moving North, by the time we approach our destination I count seven around us. 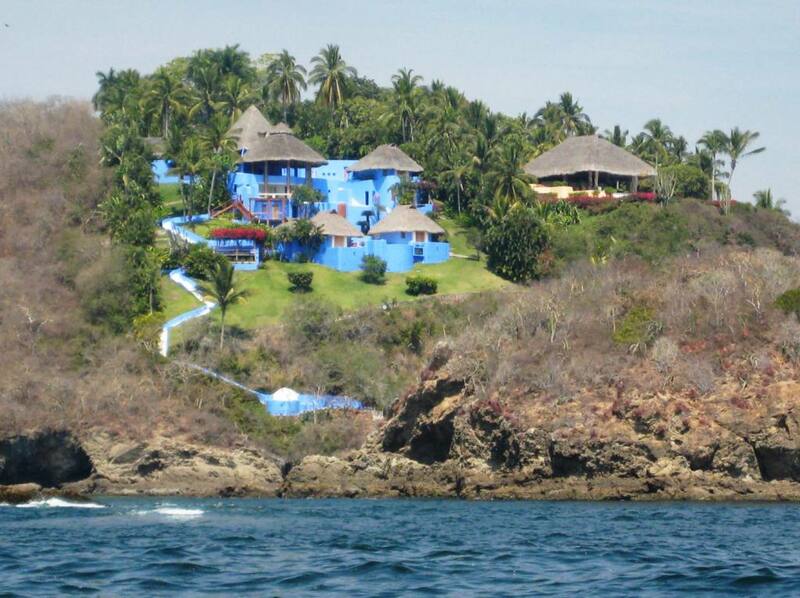 The scenery entering Bahia Careyes is spectacular, hills peppered with very colorful houses, white beaches and palm trees. I’m almost salivating, scoping out places to visit with my kayak… This used to be a Club Mediterranee site, but now all the buildings are privately owned, with perhaps a couple of small hotels left. Another Gorgeous House On The Rocks! BUT… As we enter the tiny bay it’s clear that the anchorage is quite exposed to winds and currents. I’m busy taking pictures, quietly wondering if we’ll be safe here, when Tom slowly turns 180 degrees and declares the place to be too “open” and therefore not up to his safety standards. Good for a day stop, but not to spend the night. 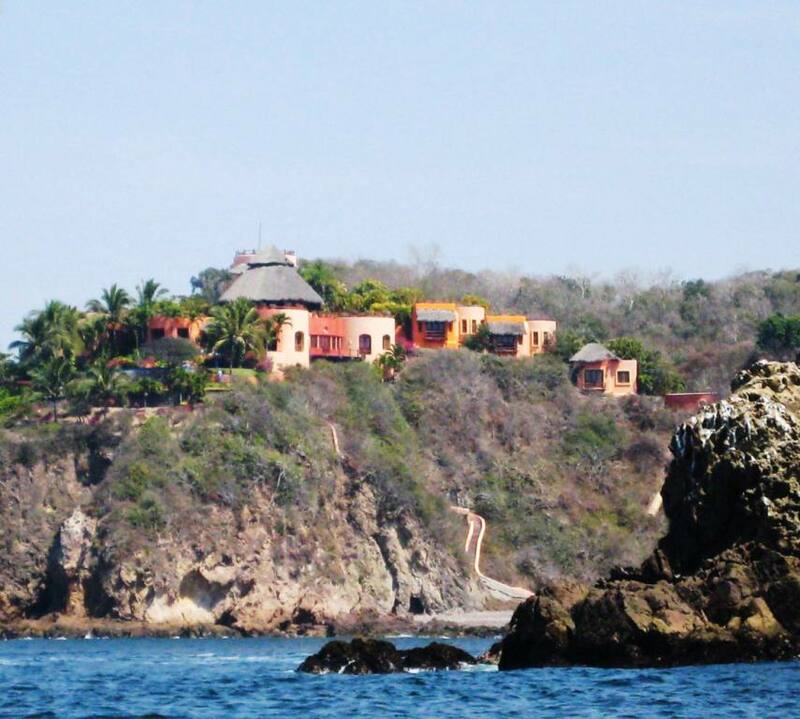 Regretfully, we abandon Bahia Careyes; but I agree, a comfortable and uninterrupted night’s sleep is too important. 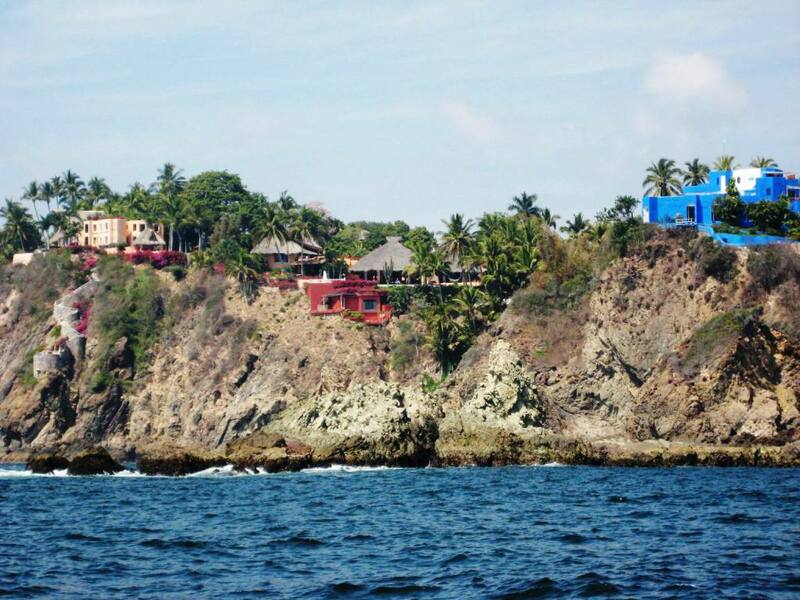 I’m glad I had a chance to take my pictures, though… Adios, Careyes! Just four miles up is Paraiso, we know that bay to be more sheltered and even more beautiful, as we’ve been there just a few weeks ago on the way down the coast. So we head out again, I’m a little disappointed but understand it’s for the best. Knowing the idyllic setting awaiting us in Paraiso, disappointment soon gives place to anticipation. We’re pleasantly surprised to find two boats in the small bay, and we know them! Liberty -with Russ, Kaersten and Christa aboard- and Wendaway, with Wendy and Mark. 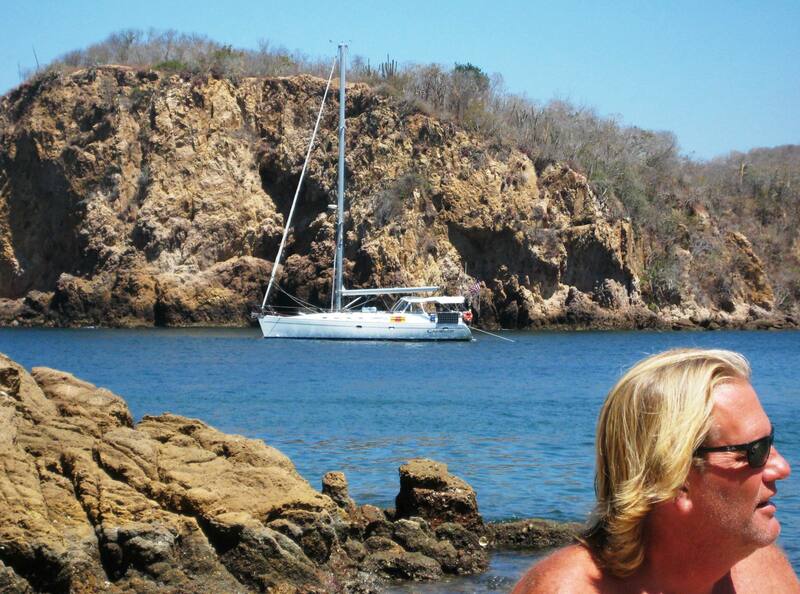 Later the catamaran Paradox joins us, with Claire and Carl. Needless to say, as soon as everyone is settled Tom gathers the neighbors for snacks and drinks on Camelot. It’s a very pleasant reunion. Good-looking Camelot anchored in Paraiso. The dude in the corner is not too bad, either. 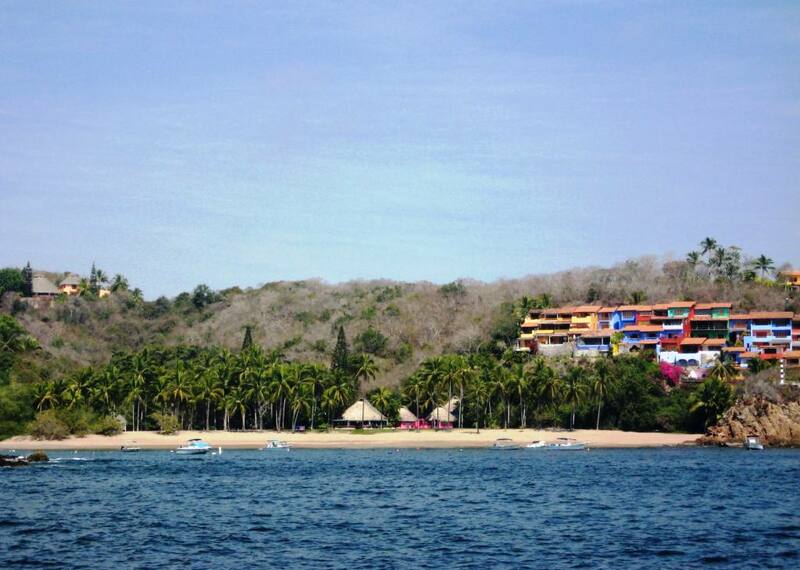 We end up spending the next day together at Playa Esmeralda, the small beach just a few feet from our boat. It’s an official picnic! The day goes by in a blink, reading, splashing about in the –cool!- water, chatting and generally being lazy. A couple of hours before sunset we all retire to our welcoming boats. Liberty will be leaving in an hour or so, Paradox the next morning. There will be only us left! 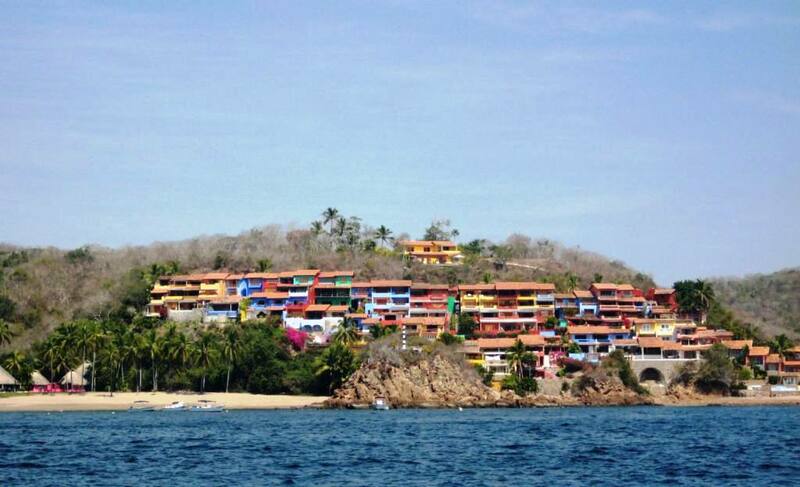 But being the weekend, I’m expecting more visitors… We’ll be leaving on Monday, resuming our way up to Banderas Bay. Better go enjoy Paraiso while I can! Glad you got to see Careyes. Usually you can anchor there without a problem if you bow and stern acnchor. The trick is to put your stern anchor deep into the pangas and other boats that are anchored just off the beach; then you should be fine. Try it next time. BTW, there is a paint named Careyes blue.